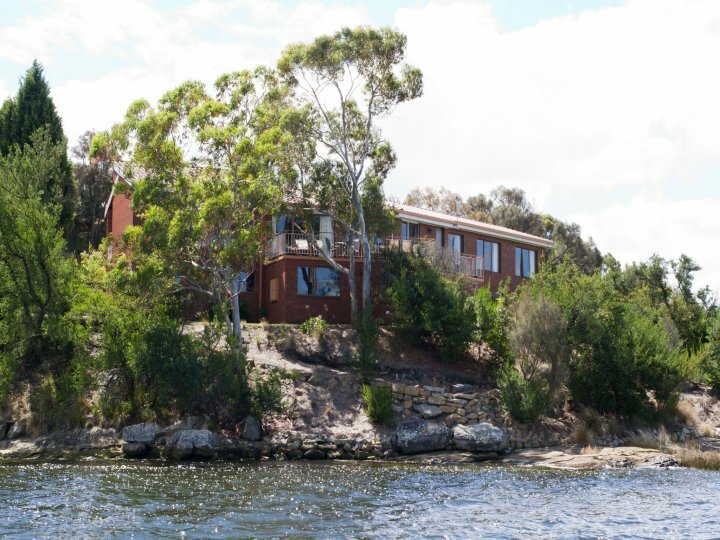 Derwent Retreat is a fully equipped modern house on a point near the yacht club and launching ramp at historic Austins Ferry 15 minutes from Hobart. 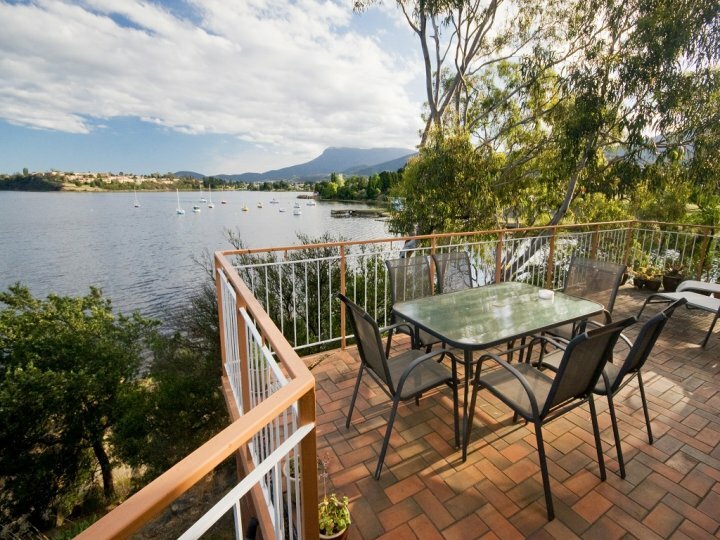 It has some of the best views in the state with a Panorama stretching from Mt Wellington in the south to Mt Direction to the east and north to the Quoin and beyond. The area is surrounded by parks and steeped in history. To get there you drive through James Austin park where James Austin ran the first ferry in Tasmania from about 1813. This large modern property is fully furnished, has three bedrooms and two bathrooms and sleeps up to 9 and one baby with a configuration of a queen, double, two singles, two king single folding beds and a single folding bed. 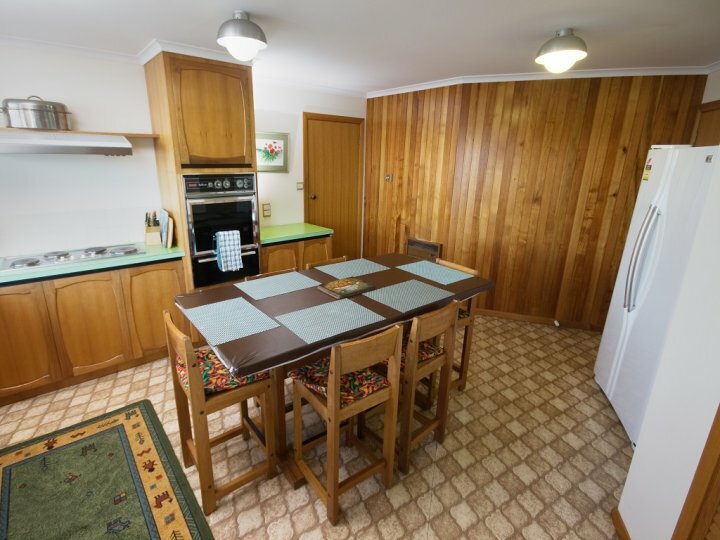 It is fully equipped kitchen and laundry, barbecue, internet, TV, DVD, stereo etc. 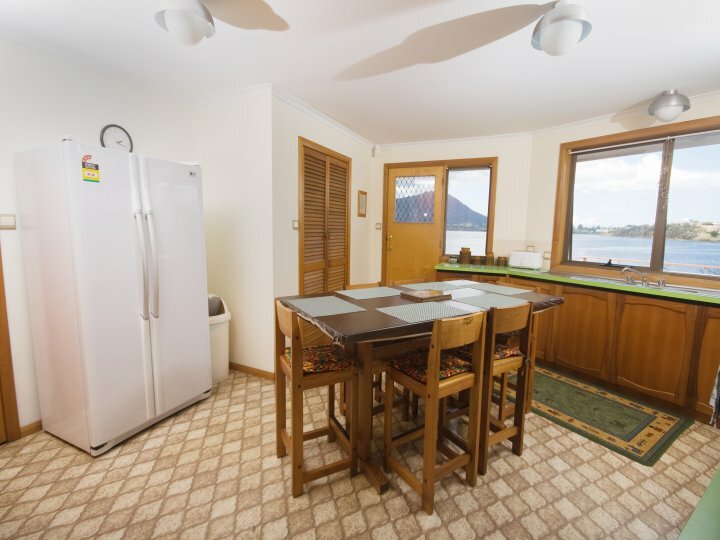 Kitchen equipment includes a microwave, hotplates, stove and fridge. 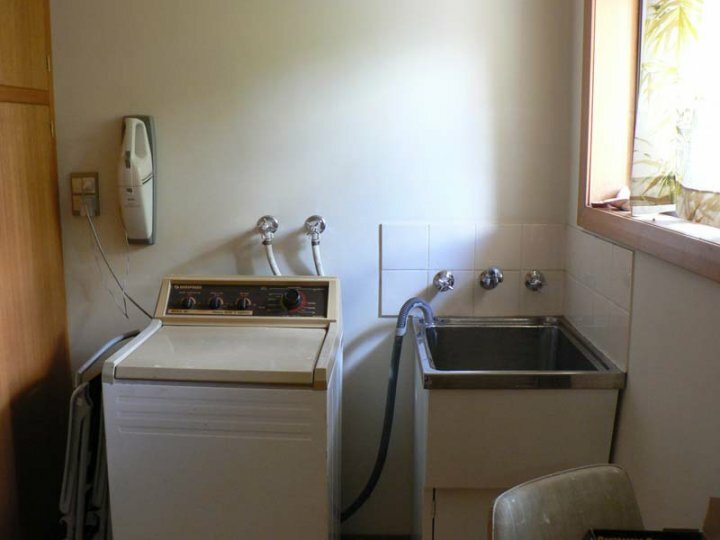 The laundry has a washing machine and dryer. On the balcony there is a gas barbecue and second dining table and chairs. Tea coffee and other basics as well as all linen, towels and crockery are provided. 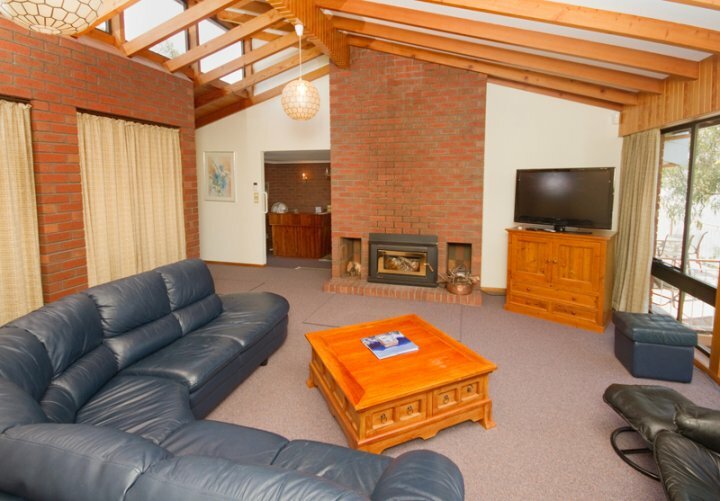 The property is centrally heated and there are also supplementary heaters.Also included is a local call only telephone, wired and wireless internet. 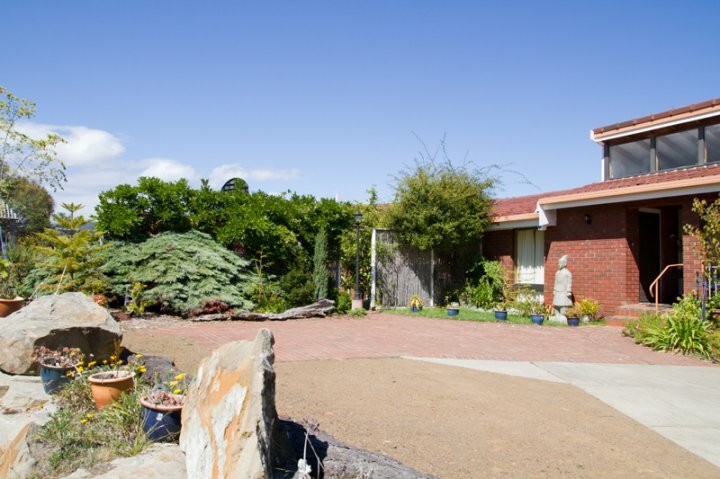 The house has a large garden with many natural rock features and small basketball hoop for relaxation. 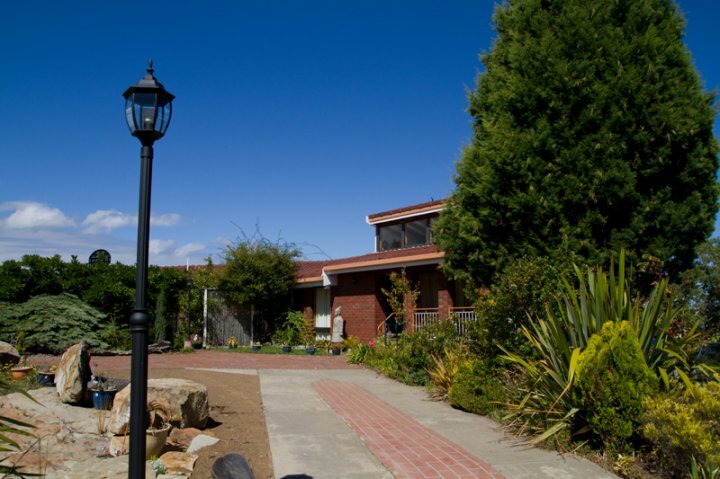 Derwent Retreat is an ideal Hobart base for business or pleasure, only a short drive from the Brooker Highway and close to major business and tourist attractions such as MONA, Cadburys, Alpenrail, Bonorong Park, Richmond, Salmon Ponds, Russell Falls and the Derwent valley. Claremont Golf and Bowls Clubs are within a couple of km. Public transport is easily accessed and shops are less than half a kilometre away. A Woolworths-Safeway Shopping Centre is one kilometre away. 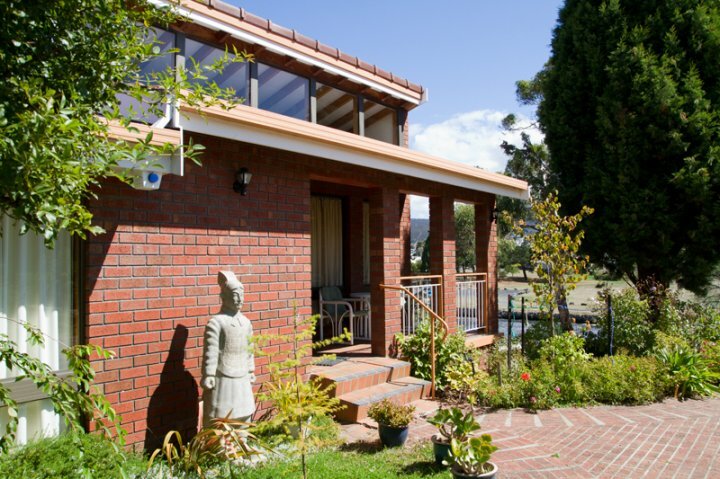 Derwent Retreat is rented short to medium term at competitive rates and is suitable for business people looking for somewhere to stay, a retreat or quiet place to work or holiday makers keen on sampling the many attractions that the Hobart region is famous for. Pets are welcome at Derwent Retreat but not inside. There is an enclosure suitable for compatible animals. A book swap library. CD's and videos available.. 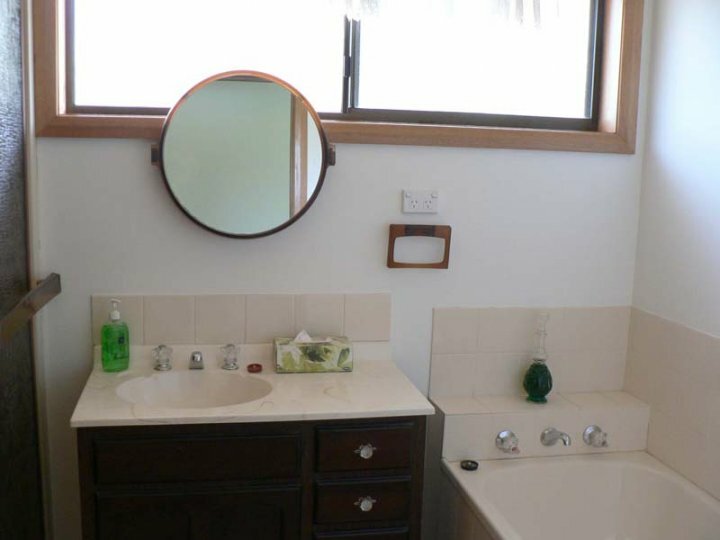 The property is not fully wheelchair accessible according to Australian standard AS 1428. It may suit people with limited disabilities depending on whether assistance was available from others in the party. There are two steps to the front door with a bannister rail on the right side. The foyer and living room are on this level and then there are two steps down again to the dining, kitchen, bathrooms and bedrooms which are all on the one level and a bar rail is provided on the adjacent wall. The front door and both showers have entrance lips and no bars. The showers are not suitable for wheel chairs and shower heads are not removable. Hand rails are installed in the main toilet. All door frames are standard size. 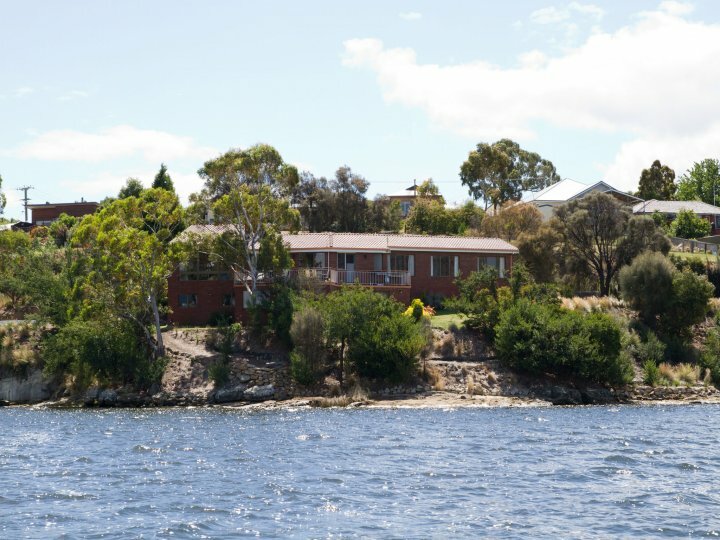 Derwent Retreat is a fully furnished self contained house with absolute waterfront to the Derwent river and great views of the Derwent, yachts at anchor and Mount Direction. It has a Queen, Double, 2 Single and 3 folding beds. A portacot and high chair are available on request. The base rate is for 2 people with an extra person charge. There is no charge for internet, TV, DVD, fishing gear, bikes, canoes etc. Derwent Retreat has a computer, printer and desk supplied. Wireless and wired broadband is also available at no charge. Please phone us when you arrive so we can meet you. Contact numbers are provided in your confirmation email. If you prefer an earlier check in or later check out you must also call us and we will do our best to accommodate you with no guarantee that we can. When you leave all doors and windows must be closed and locked, heating/cooling turned off and keys returned to whom you got them from unless otherwise arranged. Should you find you have accidently taken your keys with you please contact us straight away. 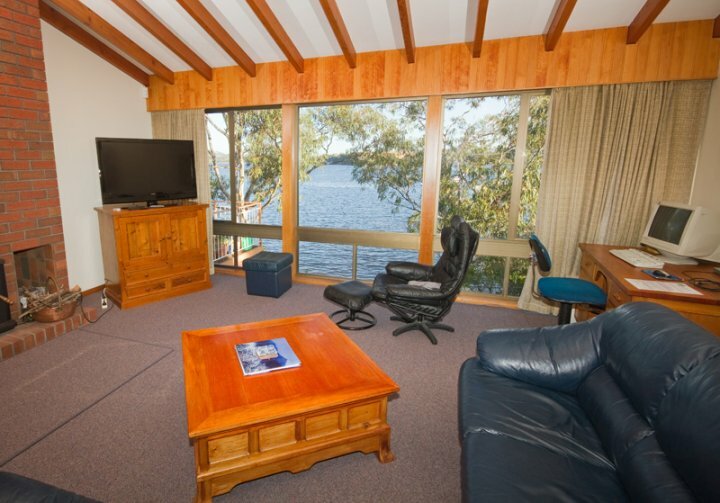 Rental rates start at $145 per night for up to 2 persons. $ 30 extra per additional person subject to seasonal change. Minimum stay 2 nights. Infants 2 no charge. Portacots and high chairs are available on request. There is ample space to park up to two cars and a trailer at no extra charge. Find your way onto Main Road and follow it north or south as the case may be to Austins Ferry. Austins Ferry Road is opposite the stone gates to historic Roseneath Park. Turn down Austins Ferry Road towards the water and yacht club then turn left into the car park just before you arrive at the boatramp. The gravel road that exits from the north side of the car park is the driveway to Derwent Retreat. Either wait for us there if we have said we are going to meet you or follow this road and park at the house. 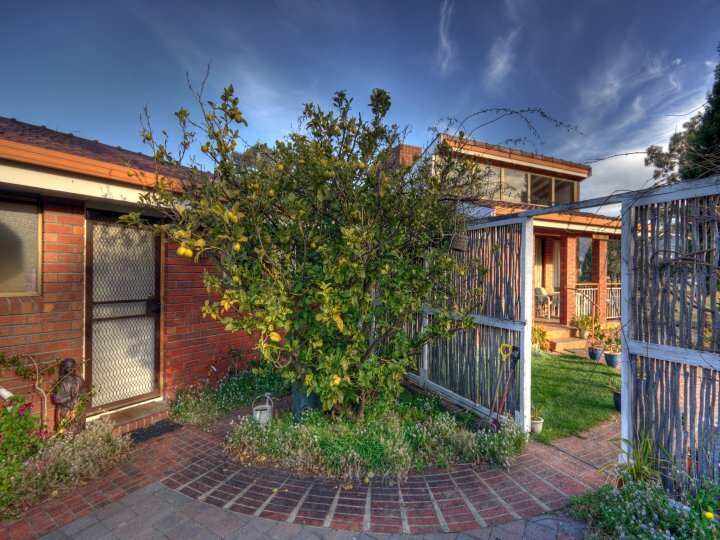 Please phone the managers residence on 62492352 or 0413993911 as you are getting close and they will come out and meet you, guide you in, show you around and provide any other assistance or advice required. We know it is hard to travel with equipment these days so fishing gear is provided. If you would like to borrow our canoes, bikes, and discs for the nearby disc golf course, please let us know. 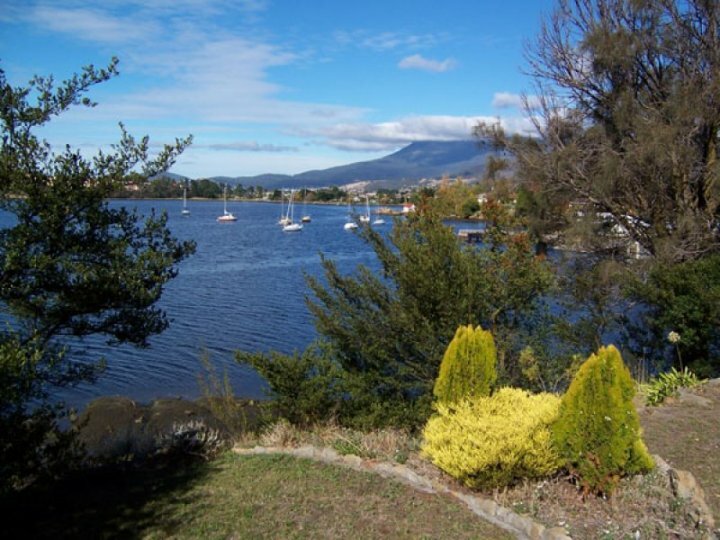 On or adjacent to Derwent Vista are swimming in the Derwent, fishing, boating or just walking in the parks. If you bring a bike you can use it! If not use ours! The Derwent provides opportunities for white water canoeing or jetboating further upstream at the historic town of New Norfolk or enjoy a more relaxing time playing golf or bowling at local clubs. Cadburys, Moorilla, MONA, Richmond, Salmon Ponds, Alpenrail and Bonorong Wildlife Park are all family favourites and close by. 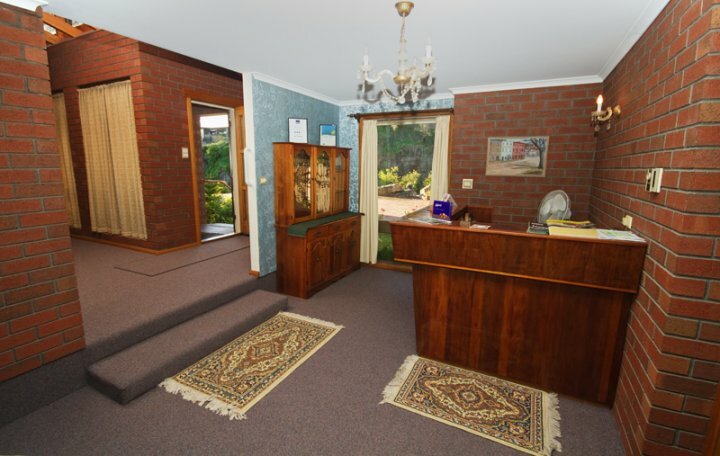 There is an RSL, golfing and bowling clubs less than a couple of km away. 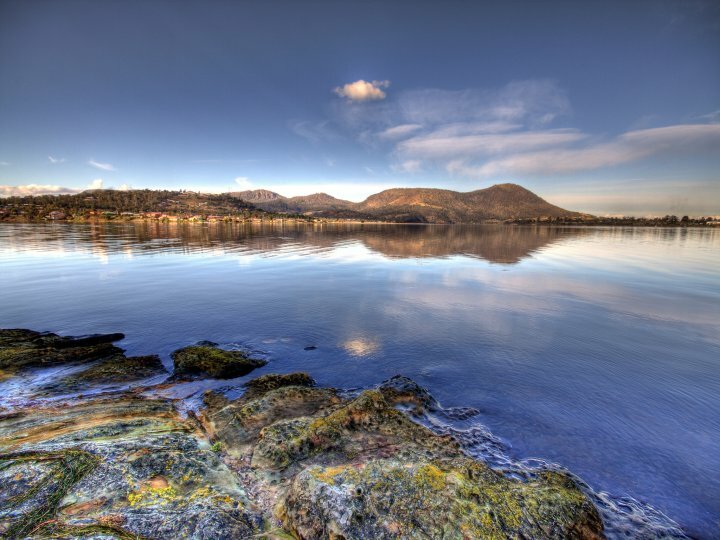 Tasmania is endowed with every activity possible from jetboating to skiing, from mountain climbing to some of the best walking in the world. 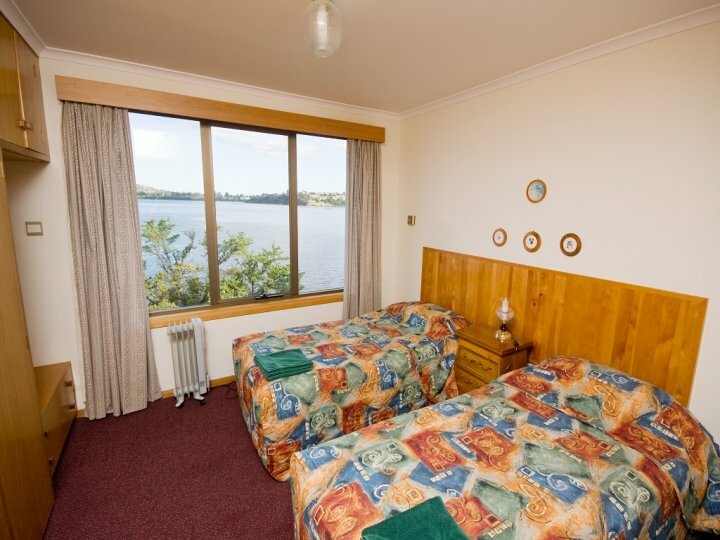 Snorkelling or surfing, fishing or just snoozing on a beach are all within an hour or so of Derwent Vista. 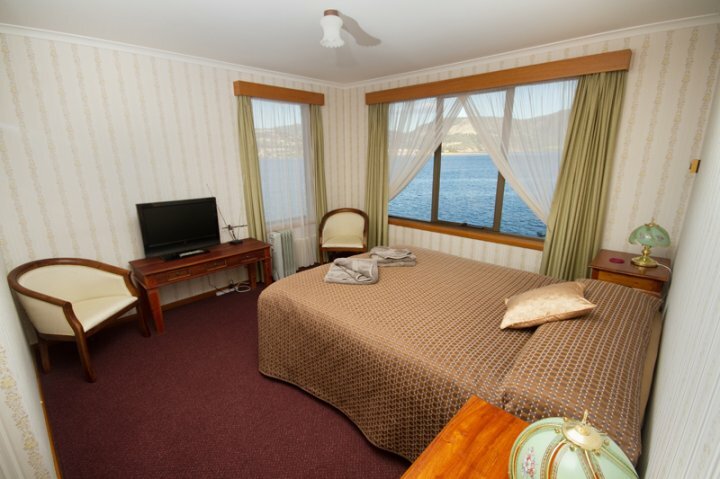 For those who like dining, nightclubing or gambling, Hobart's inner suburbs of North Hobart and Salamanca are just a 15 minute drive away and Australia's first licensed casino, Wrest Point is just a 20 minute drive away. Salamanca market is a must on Saturday, Moorilla winery is very close to spend the afternoon listening to jazz and tasting their wares. If history and old buildings are your interest, Richmond is only 35 minutes away.